Administered by IU for 50 years, this program offers semester and academic year durations. Madrid is the geographical and political center of Spain, known for its outdoor cafés, tapas, vibrant arts scene, and green spaces. 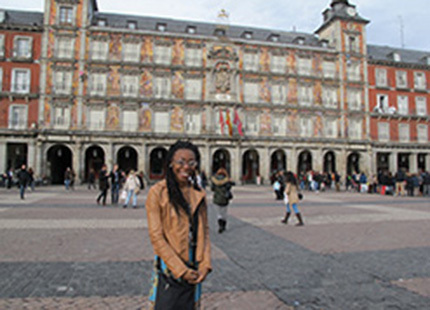 Students enroll in a combination of courses with other U.S.-based students and local classes with Spaniards, all housed in the Universidad Complutense de Madrid. The program is designed for cultural and language immersion across all aspects, inclusive of housing by permitting students to live with local students or families. Course Equivalencies: Please see the Madrid-IU course equivalency list for program enrollment requirements and a list of IU course equivalencies that students have received in the past. Note for academic year applicants: Enrollment in HISP-S 411 during the spring semester is strongly recommended. Airfare, personal expenses and vacation travel additional.Initial prepayment of $500 due on October 22, 2018.